What Type of Olive Oil to Use for Frying? You often see olive oil used topically on dishes like salad or pasta, but you can cook with olive oil in the same way you do with vegetable oil. And it’s much healthier for you too. Let's start with an explanation of what olive oil is, exactly. As the name suggests, it's the liquid fat that's derived when whole olives are pressed. The flavor can vary based on the altitude of the olive trees, the growing region, the time of the harvest and the extraction process itself. There are different variations of olive oil that you will see in your local supermarket, most commonly extra virgin olive oil, virgin olive oil, and olive oil. Extra virgin refers to oil that comes from cold pressed olives whereas other olive oils are blends of both cold pressed and processed oils. Extra virgin oil tends to have a more green color and a more pronounced fruity aroma. The process of making it is time-consuming and rigorous which contributes to its higher price. The taste of extra virgin olive oil is best for cold applications like salad dressings, dips and finishing drizzles over hummus, pizza or pasta. But when you are using olive oil to stir-fry or in other heated applications, the flavor won't be as pronounced so there's no reason to spend the money on extra virgin grade oils. In general, when olive oil is used for cooking, it's best kept to pan frying only. But it is definitely not ideal for deep frying because it has too low a smoke point and will overheat. If you are looking for a healthy oil to deep fry with, canola is a great option. 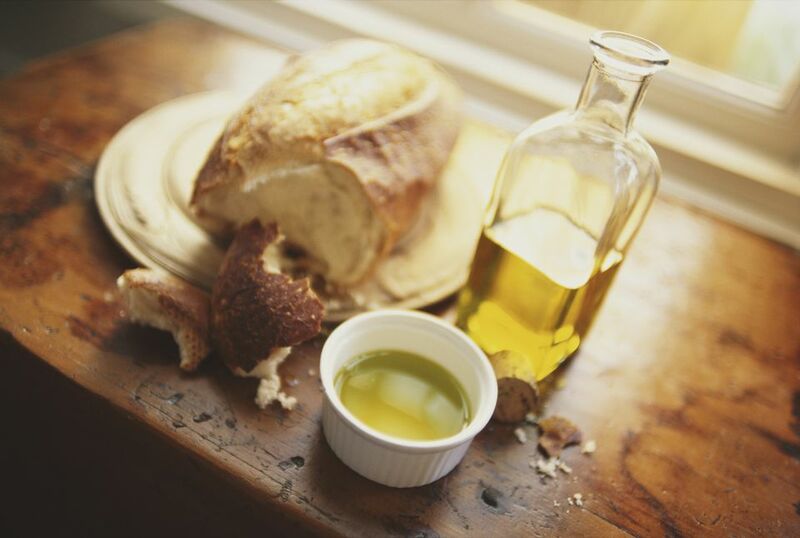 Because the taste of olive oils can vary, you should try a variety of brands to find the one you like best. Then keep a great bottle of extra virgin on hand for finishing and a good plain olive oil for general cooking. Keep in mind that oils deteriorate and become stale over time so be sure to use your oil while it's fresh and, after a year, even the best extra virgin probably won't be good for raw applications but can still be used for cooking. Can You Eat Food Past Its Best-if-Used-by Date?